The chapter focuses on tax aspects involved in assessing money damages in cases involving personal injury or wrongful death on the one hand, and employment discrimination or wrongful termination on the other. 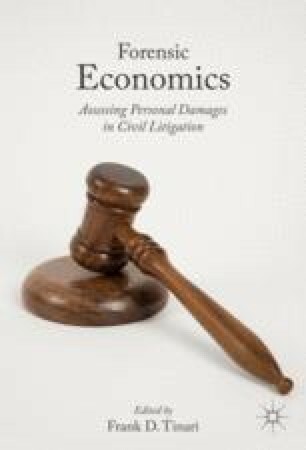 In each realm, tax realities and jurisdictional legalities that impinge on assessing damages are first considered, followed by discussion of methods and examples of damages assessment addressed in the forensic economic literature. The chapter serves to provide forensic economists with a sense of the key legal and practical concerns at play in damages assessment in the specified areas, to pinpoint where additional detailed information is available, and to describe opportunities for future research where there are inadequacies in the extant literature.